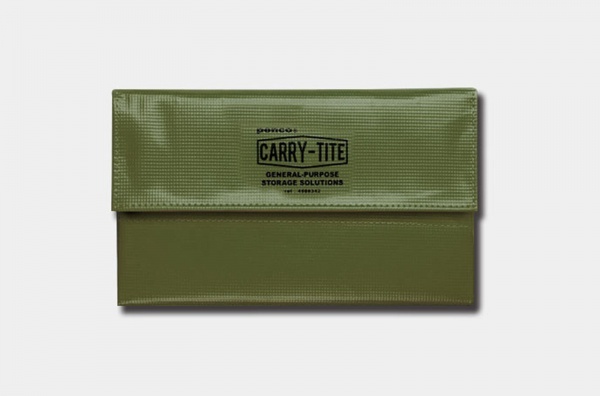 Penco Carry-tite uses durable and water-proof PVC tarpaulin garment which prevents itself from being stained. It can be cleaned with warm water and mild soap. 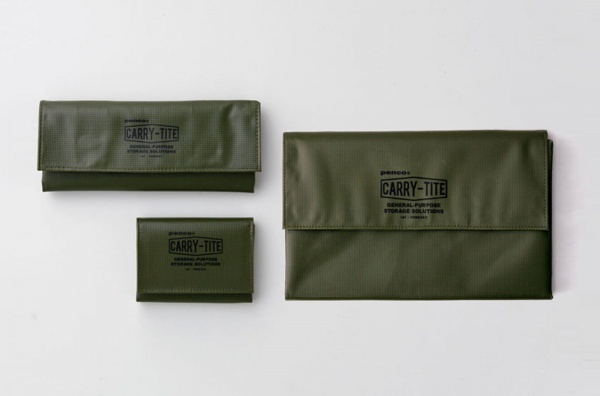 The carry-tite is useful and you can bring it anywhere with you. 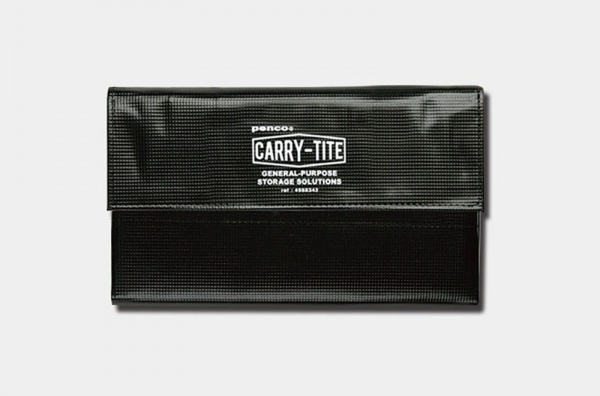 There are 2 sizes for people to use in different ways, and you can use the carry-tite to store stationery and living tools. 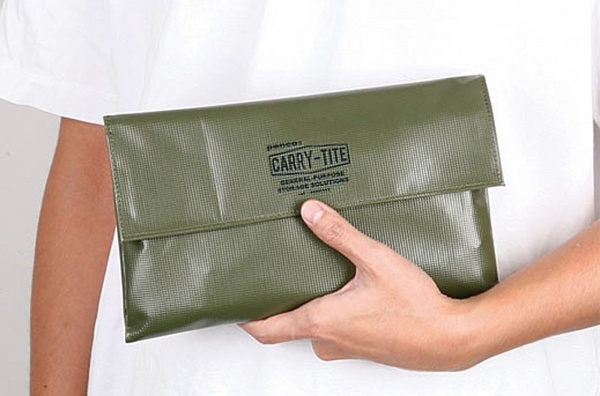 ＊Every carry-tite has a little difference in sizes, and the position of line made by folding might differ slightly. The connection of stitch and Velcro might be rough. Please be noted before placing an order. 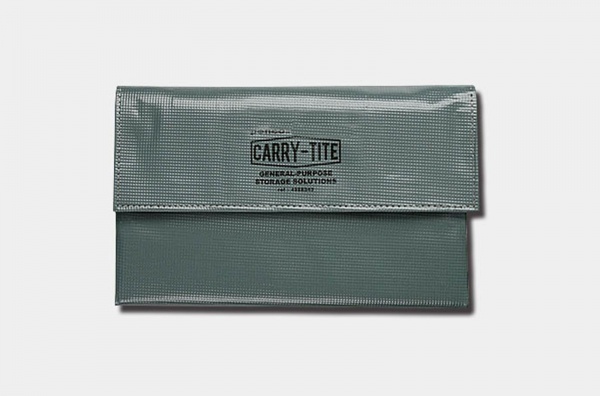 ＊The color of concave part of the bag might change after it is used for a long period of time owing to the material of the product. ＊Do not use any solvents, alcohol or acid cleaning agents to clean. Please avoid being shined for a long period of time.